The big day was March 29. Then it was April 12. And now Europe’s powers have decreed that Britain has until Oct. 31 to decide how — or indeed whether — it would like to leave the European Union. At this rate, you may be thinking, Britain is never really going to quit. Unfortunately, the odds of a hard-line Brexit are probably increasing. The immediate consequence of the E.U.’s announcement is that Britain’s Parliament gets more time to decide what sort of Brexit it favors. But the logic that has blocked a deal so far has not been magically altered. On one side, the supposedly governing Conservative Party cannot unite behind an exit formula that would satisfy Europe’s determination to safeguard peace in Ireland. On the other side, the opposition Labour Party refuses to join Conservative moderates in backing a workable deal because it wants to destabilize the government and force an early election. Theresa May, the dogged prime minister whose defenestration has been prematurely rumored for two years, now has one foot out the window. She will keep trying to strike a deal with the top brass in the Labour Party. But even if she appears to succeed, the chances of keeping Labour’s support through the marathon of implementing legislation seem minimal. At the first opportunity, Labour is likely to make common cause with hard-line Brexiteers on the Conservative right and vote no confidence in the prime minister. If the talks with Labour’s leaders fail, May’s next move will be to consult the members of Parliament directly. This involves a cumbersome process known as “indicative votes”: MPs vote on various Brexit permutations until one commands a majority. Last time this was tried, no majority emerged for anything. But even if a second experiment produced a majority for some kind of deal, it would be tough to hold that majority together. The prime minister might yet succeed in conjuring a breakthrough: The situation is so fluid that almost anything is possible. But if she fails, she will have both feet out the window. Her mission has been to deliver a moderate Brexit; if she cannot, her unloved leadership will serve no further purpose. Local elections on May 2 are likely to deliver a rebuke to her party, and on May 23 she faces a still-greater humiliation. Britain will have to hold elections for the European Parliament, almost three years after voters resolved by referendum that they wanted out of such entanglements. So, if May can’t get a deal, what happens? With Parliament deadlocked, the next move would have to come from voters. This could take the form of a second referendum, in which case the anti-Brexit “Remain” side would be narrowly favored to win. But the majority in Parliament abhors the prospect of a second plebiscite, and the fights over the phrasing of the question and design of the vote could drag on indefinitely. Therefore, the likelier way out is an election. This is how things could get truly ugly. The Labour Party is led by professional placard carrier Jeremy Corbyn, who is anti-American, anti-capitalist and anti-European Union. Because the Labour rank and file is pro-Remain, a Labour victory might mean that Brexit is sidelined, despite Corbyn’s personal predilections. But this would be cold comfort. Labour’s leftist agenda would scare investment away from Britain as fast as the prospect of Brexit has done. More likely, Corbyn would prove too extreme to be elected. Yet if the Conservatives win, the prospects are little brighter. 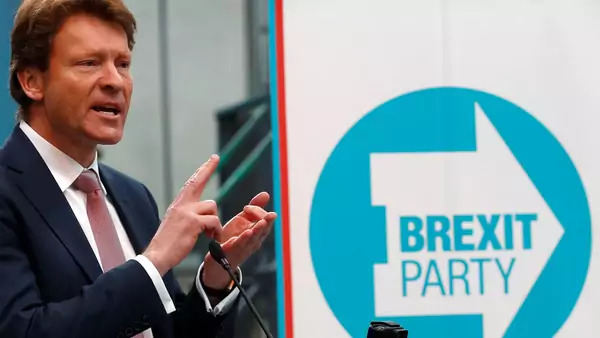 The party would probably fight the election under a new leader; given the leanings of Conservative Party members, that leader would probably be a hard-line Brexiteer — the front-runner is Boris Johnson, a post-truth Trumpian. Hence the danger that Britain will use its newly granted extra time to head toward a sharper break with Europe. The core problem is that, in Britain as in chunks of continental Europe, centrist politics is failing. The Labour Party has veered further left than it has been in more than three decades. The Conservatives are in thrall to a nostalgic, narrow-minded nationalism that fabricates scare stories about Europe — and that will fight to keep Brexit on the agenda even if it is thwarted in the near future. May, for all her stiff-necked clumsiness, represents the responsible but diminishing old guard. If she topples from the windowsill, Britain will miss her.